Here is a sample itinerary for a camel tour. We will meet in the Wadi Rum village. 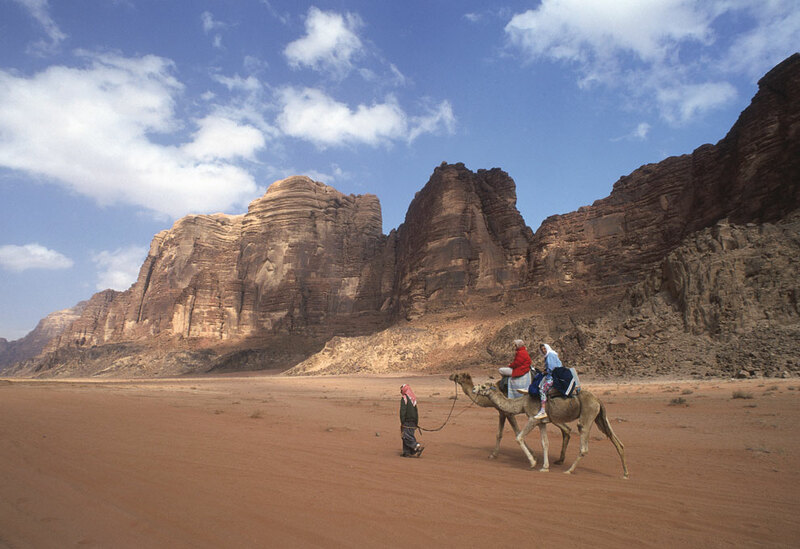 From there, we will start the camel trek through the sands and canyons of Wadi Rum. In the evening, we will camp under the stars in Wadi Rum and enjoy a Bedouin dinner. We will spend the next 2 days camel trekking through the desert of Wadi Rum visiting the inscription rocks, hidden water irrigation systems and pass Bedouin tents. You’ll feel the wind in your hair, the sun on your face, the warmth of the camp-fire, the sparkle of the moon and the stars. For the following days: We can return to Wadi Rum village and conclude the trip or begin a minimum of a 6 day camel trek from Wadi Rum to Petra. Each night camping and enjoying Bedouin meals. Included: 1 camel per person, camping equipment and tents, food, (for 6 or more people: guide and cook). Not included: personal insurance, drinks, and tips.